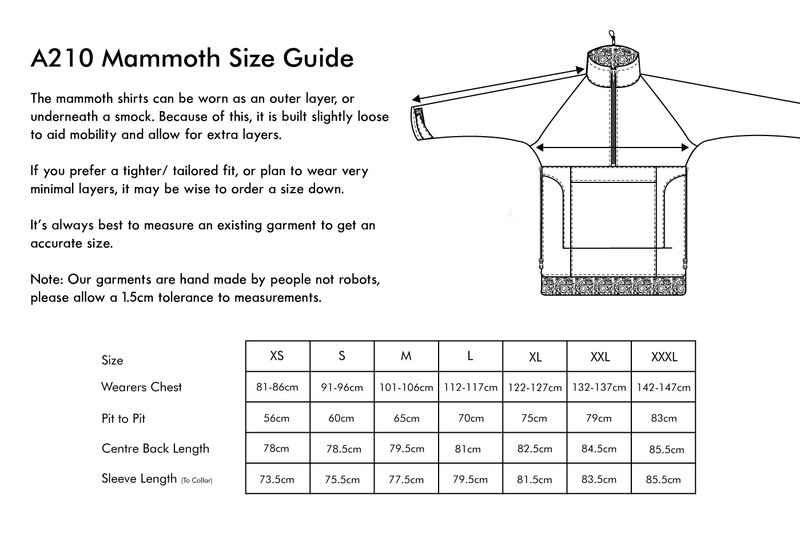 The A210 Mammoth Shirt is one of our most popular and prestigious designs. It incorporates a fibre-pile lining which is both rugged and warm in the harshest of conditions. Two-directional zips running up the side of the garment allow for quick ventilation when the user requires. In addition the mammoth has hand warmer-pockets and a vital document compartment which can easily hold maps, notepads, and other survival gear. The Mammoth has seen action with the military, police dog handling units and various outdoor workers. It's incredibly versatile and can be worn as a mid-layer underneath a smock, or as a standalone outer garment.